Bring a large pot of salted water to a boil. Add fettuccine and cook until al dente. Drain, reserving about 2 cups of pasta water. In a small bowl, mix together yogurt and mint. Season with salt and pepper and reserve. Heat a large sauté pan over medium heat and add olive oil. Add garlic and sauté for about 2 minutes, or until soft. Add grape tomatoes to pan. Season with salt and pepper and cook for about 5 minutes, or until the tomatoes have softened. Add the Tomato and White Sultana Chutney and pasta water to the pan. Bring the sauce to a simmer and cook for about 5 minutes. Add pasta and toss with sauce. 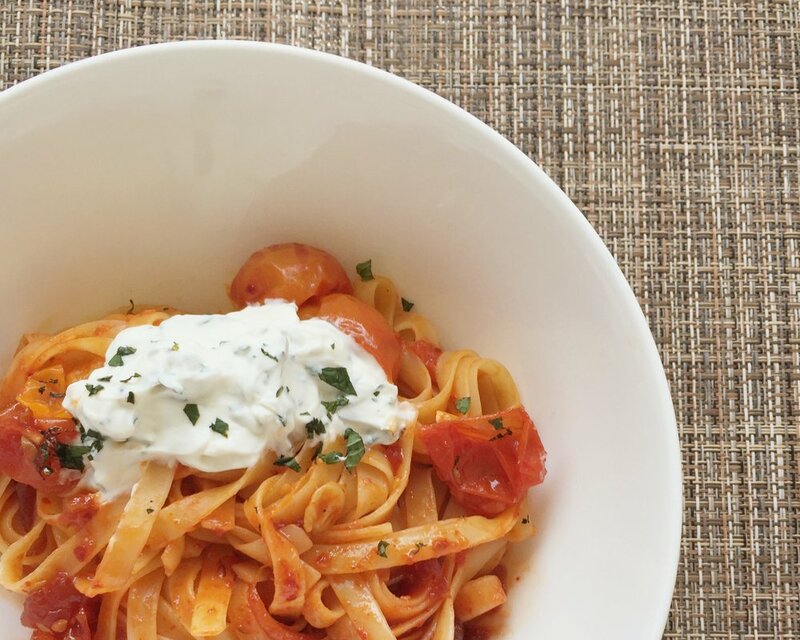 Serve each portion of pasta with a spoonful of the Greek yogurt sauce.